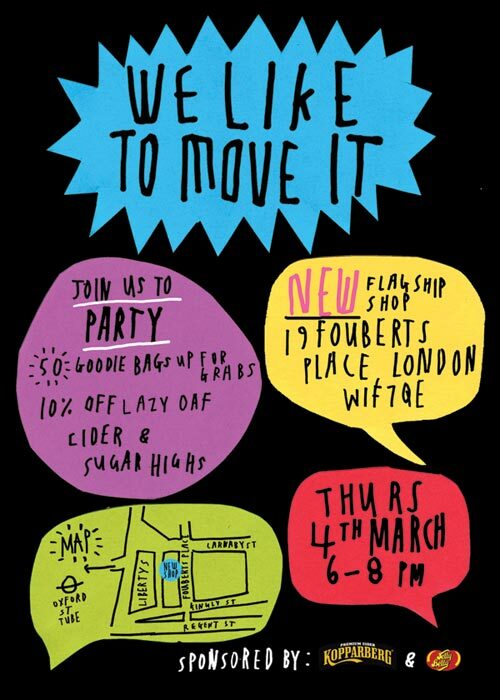 Quirky London brand Lazy Oaf is moving shop, and to celebrate they are throwing a little shindig in their new shop this Thursday evening! 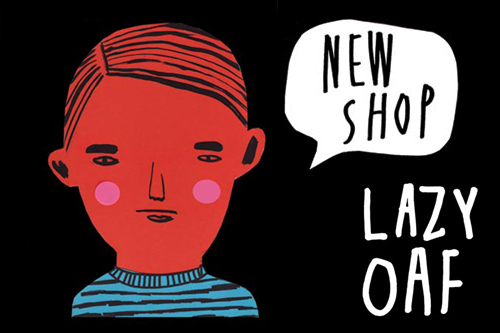 Having peeped the majority of Lazy Oaf’s Spring/Summer collection at Margin, I can strongly advise that you visit the shop and see what’s new in. These guys have got some rad product coming out this year, and rad is the only word to describe it properly. Get down for 10% off all products, cider and sweets. Sounds good to me! Just around the corner, nice one! Gonna be there for sure! !